Now for the first time ever in one volume, all twenty-eight stories and two serialized novels starring the Continental Op-one of the greatest characters in storied history of detective fiction. Dashiell Hammett is the father of modern hard-boiled detective stories. His legendary works have been lauded for almost one hundred years by fans, and his novel The Maltese Falcon was adapted into a classic film starring Humphrey Bogart. 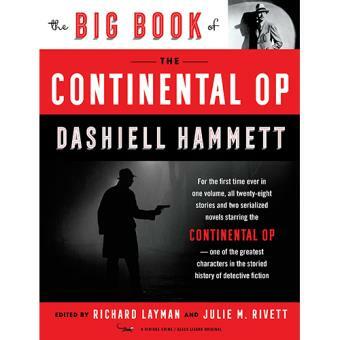 One of Dashiell Hammett's most memorable characters, the Continental Op made his debut in Black Mask magazine on October 1, 1923, narrating the first of twenty-eight stories and two novels that would change forever the face of detective fiction. The Op is a tough, wry, unglamorous gumshoe who has inspired a following that is both global and enduring. He has been published in periodicals, paperback digests, and short story collections, but until now, he has never, in all his ninety-two years, had the whole of his exploits contained in one book. The book features all twenty-eight of the original standalone Continental Op stories, the original serialized versions of Red Harvest and The Dain Curse, and previously unpublished material. This anthology of Continental Op stories is the only complete, one-volume work of its kind.